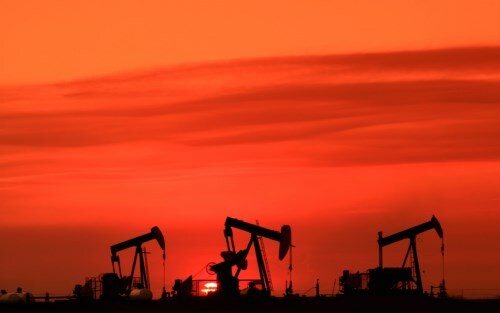 Data released Wednesday showed that US gasoline stockpiles gained by more than expected and the draw on crude inventories was less than expected; oil prices dropped more than 3.6 per cent. An already cautious mood for global equity markets was worsened by the oil slump and was exacerbated by a 1 per cent drop for gold prices. Energy and materials were the largest drags on the main TSX index but 6 sector groups closed lower including financials. The overall index was off by 0.45 per cent. Wall Street was also lower except for the tech-focused Nasdaq. European indexes were mostly higher but London’s FTSE dropped as the pound recovered following the election call. Asian markets were mostly lower. Canadian investors can be assured that their interests are being protected by the Investment Industry Regulatory Organization of Canada. IIROC published its latest annual Enforcement Report on Wednesday which revealed that more investigations and enforcement actions have been taken in the past year. There were 138 investigations in 2016, up from 124 in 2015; and it commenced 55 proceedings, 25 per cent more than 2015. An increase in complaints was also seen in 2016 at 1,459, more than 100 more than in 2015. "Not only did we complete more investigations in 2016, but we made significant progress in gaining new enforcement tools that will enable us to provide stronger protection for the investing public and collect more fines in the future from wrongdoers who evade paying the penalty for their misconduct," said IIROC President and CEO Andrew J. Kriegler. Land registration documents in Ontario will require homebuyers to state their citizenship and residency as part of a drive to gather more data on the province’s housing market. With concerns about Toronto in particular, the province’s finance ministry will require the information from Monday. Companies that purchase property will also be required to give details of who owns and controls the company, in a bid to crackdown on the use of anonymous shell companies.